GT-POWER is the industry standard engine performance simulation used by all major engine manufacturers and OEMs. It’s used to predict engine performance quantities, including the level and quality of intake and exhaust system acoustic characteristics. CFD is a tool that is used in the design and analysis of equipments related to fluid flow and heat transfer. 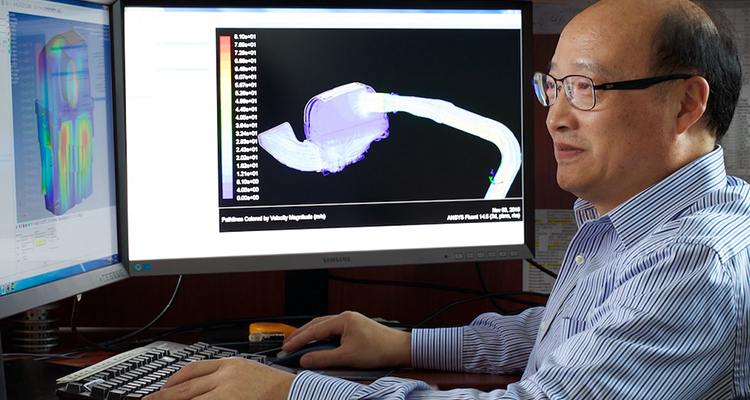 Using the latest CFD innovations, our engineers are able to solve complex fluid problems and maximize each product’s performance and efficiency. The ability to predict the impact of such flows in a cost- and time-efficient manner is critical to the success of understanding product behavior. Prior to production, our team uses Mold Flow software to analyze the proposed mold design to analyze, safeguarding against outlying issues that would prevent the mold’s abilities to produce strong, uniform parts from each cavity. Based on product geometry and tolerance requirements, Sonus’ engineering team is able make determinations for the flow analysis into the program, and provide realistic inputs into the process to receive the most accurate results.